On top of that Qaween is powered by ReduxFramework, a top-notch theme options framework. There are hundreds of options available from the theme options to help you customize the theme. 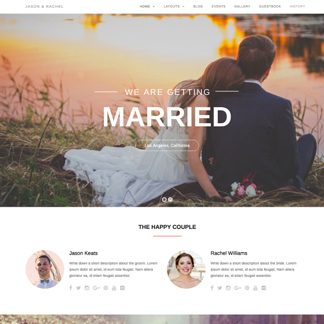 This WordPress theme / template also comes with built-in AJAX RSVP form, photo gallery, events, countdown timer, slideshow and many more.